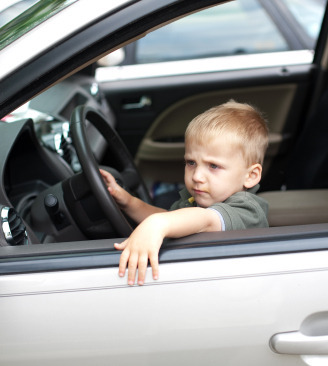 “For the last time…you can’t drive to the beach!” A lesson about ridiculous arguments. Fairly frequently, I hear about children who are “argumentative,” will “argue for hours on end” or “will not stop arguing.” This is common enough to talk about. 1. It takes at least 2 people to have an argument. If your child is arguing with you, you are also arguing with your child. What you are doing and saying is maintaining the argument. 2. A lot of times, the child is arguing about something you control (access to a certain food, money, permission to have a sleep over, not going to school, etc. ), so he needs you visible and engaged to get access to what he wants. Your engagement/arguing signals the continued availability of the item. 3. Sometimes, the arguments work (access to those things he wanted, but were not allowed prior to the argument itself). If the argument gets “solved” after an hour, the hour-long argument has been taught…by you (see the post about kicking the soda machine). PARENT: I tell you what…do you want Lizzie to come over here tonight? CHILD: Sure mom, can we go to Pizza Hut? I LOVE YOU MOM. Think about this next time your child is hysterically arguing about not being able to get that pizza delivered for breakfast instead of explaining why you shouldn’t eat pizza for breakfast and giving him the option to order it for lunch if he stops complaining.